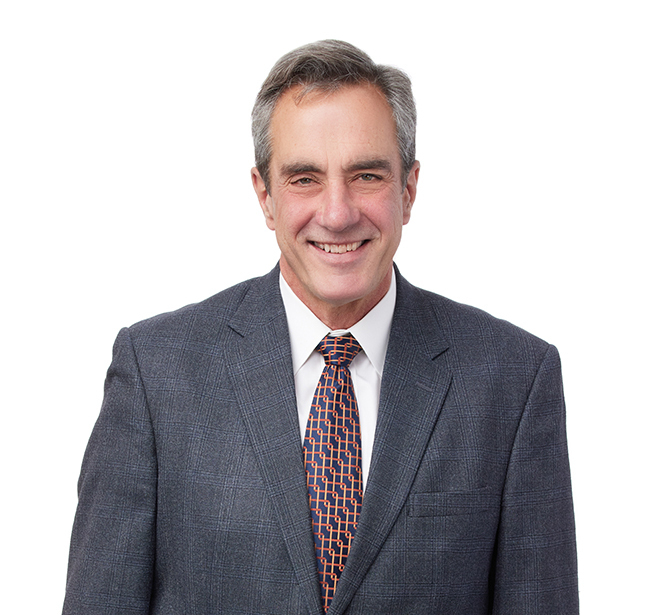 For more than 30 years Gene has represented businesses and individuals in various litigation matters. He has tried more than 30 cases to verdict, including 11 jury trials. As a member of the firm’s Commercial Litigation Practice Group, Gene enjoys representing clients who are passionate about their work. He represents everyone from artists to manufacturers. Though his clients work in diverse fields, he takes the time to understand their businesses as well as they do. He guides his clients through a variety of legal issues including, employment, contractual, products liability, and copyright and trademark matters. Gene often represents artists, gallery and museum owners, and individual collectors in a variety of matters. In a memorable case, he prevailed in a title dispute over Norman Rockwell’s Russian Schoolroom after it was stolen and then innocently purchased by his client at an auction. Outside his legal practice, Gene is on the board of Solid Lines Productions, a small nonprofit whose mission is to foster community dialogue through theatre about socially-relevant issues. He also serves on the advisory board of the National Museum of American Illustration in Newport, RI, whose mission is to exhibit, and educate the public about, American illustration art. Obtained dismissal of Federal Court lawsuit for fraud and negligent misrepresentation by successfully arguing that Missouri's economic loss doctrine barred the plaintiff's claims. Obtained a complete victory after client was sued by partnership on various theories, including breach of fiduciary duty and breach of partnership agreement. The partnership initially sought damages in excess of $500,000, plus punitive damages and attorneys’ fees. Not only did the jury return a full defense verdict on the partnership’s claims, but it also returned a verdict for the client on his counterclaim for attorneys’ fees and costs in defending the action for more than three years. Obtained jury verdicts exceeding $1M in two cases brought in federal court in California for noted American sculptors whose work was copied and prominently displayed at commercial properties in the Los Angeles area. One case settled on appeal. The other resulted in a favorable opinion from the U.S. Court of Appeals for the 9th Circuit. Prevailed in a title dispute over Norman Rockwell’s Russian Schoolroom, resulting in the work being returned to a good faith buyer who had purchased it at auction. The federal court in Las Vegas completely exonerated the buyer in a ruling that was later affirmed by the U.S. Court of Appeals for the 9th Circuit. Obtained summary judgment for St. Louis-based employer on hostile environment and sexual harassment claims brought in St. Louis County Circuit Court. Secured favorable settlement for manufacturer of medical device on a product failure claim brought in St. Clair County, Illinois. Assisted a manufacturer in expanding its business through acquisitions and joint ventures. Your Derivative Artwork May be Fantastic, but is it Transformative?